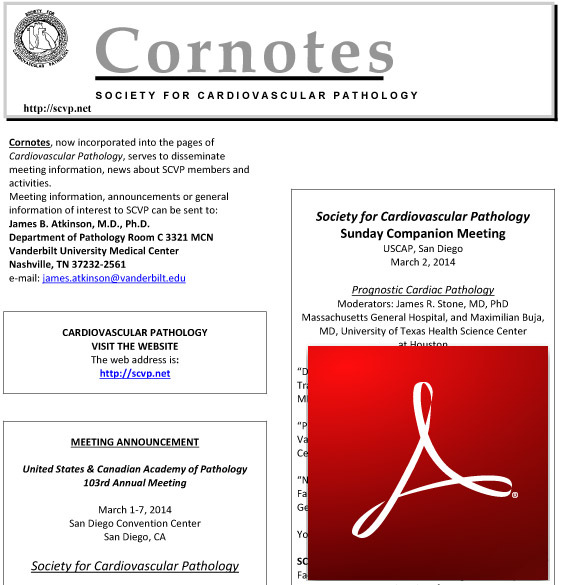 CorNotes have historically been a newsletter for members of SCVP to obtain information on cardiovascular meetings, events and other CV-related news. CorNotes have recently been a fixture in the Cardiovascular Pathology journal. Now, CorNotes have been moved to our website SCVP.net. © 2015 Society for Cardiovascular Pathology. All rights reserved.